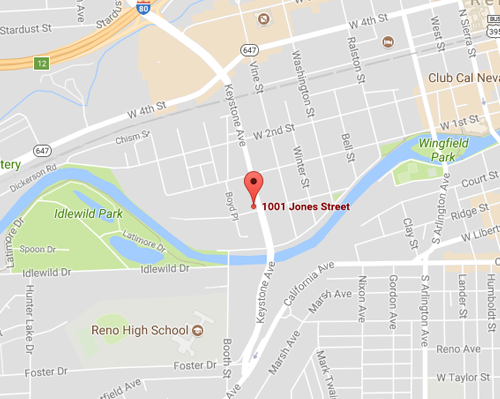 Established patients can be seen after hours, weekends and holidays at the Pediatric After Hours Care Clinic located at 1001 Jones Street, Reno, NV 89503 by calling (775) 322-1899. A red marker on the map represents the approximate location of the Pediatric After Hours Care Clinic. This is not a walk-in facility, call ahead for an appointment. Check with your insurance to see if your visit will be covered. Hours of operation are Monday – Friday from 4:30 pm – 7:30 pm, and Saturday – Sunday / Holidays from 9 am – 2 pm.